The Media Has Always Been Biased? COMMENT: Marty; I managed to get a copy of your Greatest Bull Market in History at an auction. You do know they bring $3,000+ I presume? But what stunned me in there is that you wrote how the Wall Street Journal falsely accused Jesse Livermore of trying to influence the presidential election by saying the stock market was going to rally. When it did do what he said, the press refused to quote him again because they were wrong. They will not quote you yet you have been the only one who has called this bull market from the very bottom. 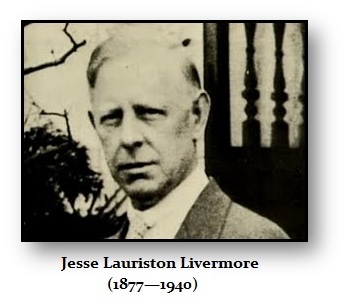 It looks like mainstream media is doing to you what they did to Livermore. History does repeat. REPLY: You may be right. But that is a good thing. It is better to keep the info in real hands rather than just plastered around for hype. Exclusive is better. The majority would never listen anyway.